Planning is the key to success. 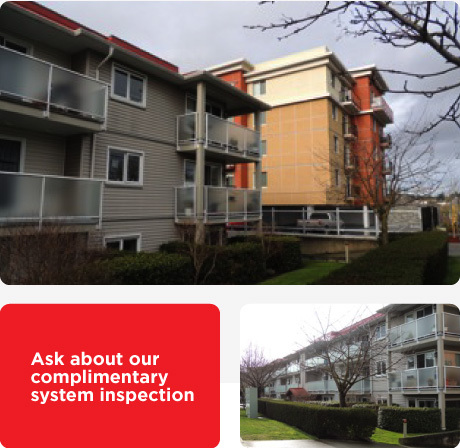 Working with Property Managers and Strata Councils, we create comprehensive maintenance strategies that reduce overall costs by preventing unexpected failures in the system. Our plans provide accurate maintenance and replacement timelines for major areas like sewer and boilers to overall health of the plumbing pipes and fixtures. With a short and long-term approach we have been successful in minimizing costs and maintaining uptime for our client’s systems. To accurately assess your infrastructure needs, let us complete a complimentary system inspection.